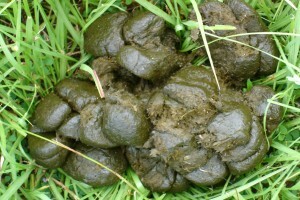 Thom Yorke’s Far From Solo Project an Impressive Hit. 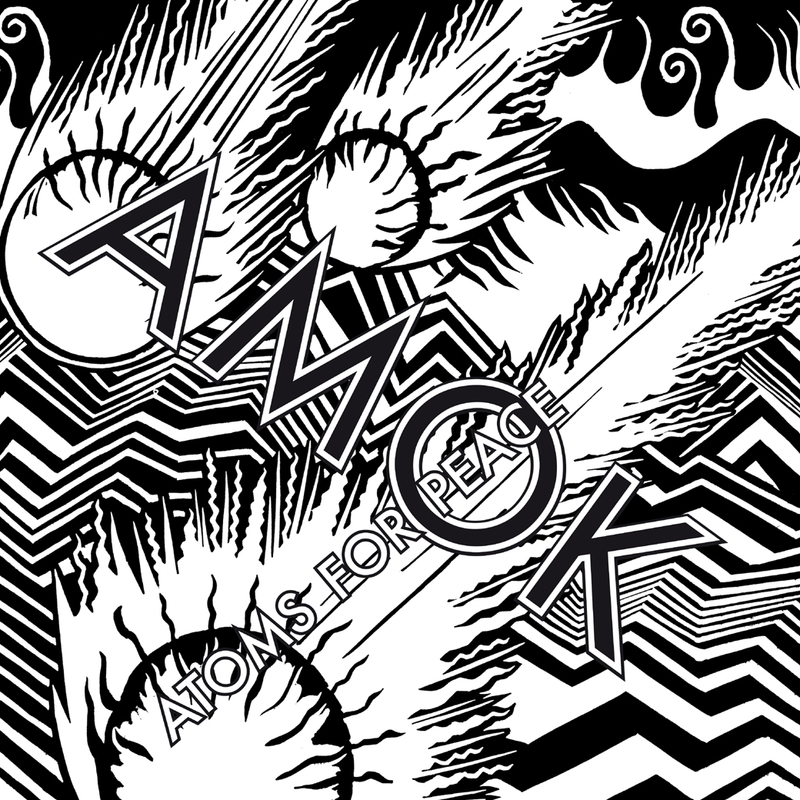 Atoms For Peace is the group that Radiohead’s Thom Yorke put together in 2009 so that he could tour his recently released solo album Erasure. And their debut album, AMOK, is basically a follow-up to that. Atoms For Peace are made up of long time Radiohead producer and multi-instrumentalist Nigel Godrich, Flea, the bassist from the Red Hot Chili Peppers and drummers Joey Waronker and Mauro Refosco. The latter is a Brazilian musician who has toured for years with David Byrne, and he became one of the pioneers of what came to be known as World Music when he set up his record label Luaka Bop in 1990. 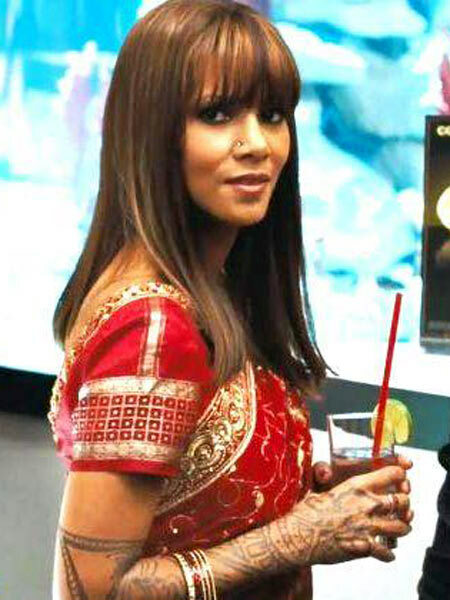 The subsequent arrival into our living rooms of the sounds of Latin America, Africa and Asia was one of the happier offshoots of globalization. And it’s that sound and his presence that reverberate, happily, throughout this album. 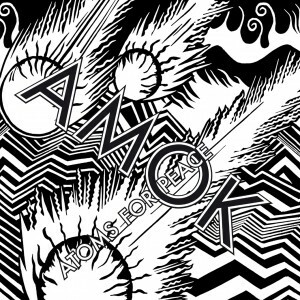 AMOK is basically the slightly more melodic sounding album that we expected to get with Erasure but didn’t. Most of the more recent Radiohead albums have been driven by the conflict between confrontational, twitchy digital beats and the seductive delivery of Yorke’s melodies. But all of that takes on a completely different feel here as each of the tracks are governed by a commanding afrobeat. Indeed, from the moment that the first track kicks in, it’s impossible not to hear in the twang of the lead guitar the sounds of west Africa, and specifically those of Fela Kuti. And the album that follows is a wonderful mixture of nerdy indie introspection filtered through infectious and uninhibited global rhythms. Yorke has said that it was the impressionistic song writing of Byrne that inspired (and slightly intimidated) him on this album. 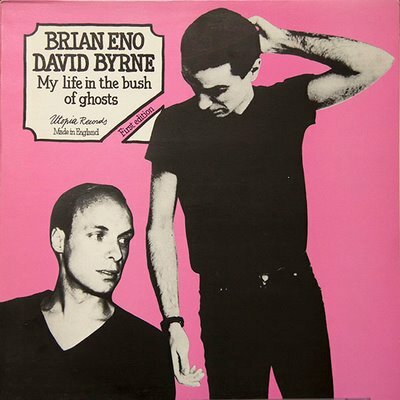 But what you hear here more than anything else is echoes of the collaboration that Byrne and Eno produced in the 1980s with My Life In the Bush Of Ghosts. And AMOK is a gentle companion piece to that, without in any way being overtly deferential. It gets a slightly grudging 6.9 from the boys from Pitchfork here. Which isn’t bad. But doesn’t really do justice to quite how enjoyable the album is. Understated, yes. But memorably so. Sign up for a subscription right or below and I shall keep you posted on All the Very Best and Worst in Film, Television and Music! Bryan Ferry’s New Album is a Note Perfect Love Letter to the Cotton Club. 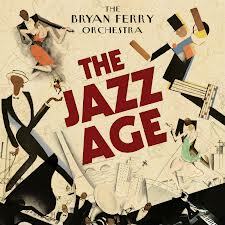 The idea behind the new Bryan Ferry album, The Jazz Age is likely to strike you in one of two ways. Either you’ll think it the most surprising but plainly inspired idea for an album imaginable. Or, well I can’t really think of an “or”. What’s he’s done is to have a root around his back catalogue of Roxy Music and Bryan Ferry classics, and to re-record them, re-imagine them actually, as 1920s early Cotton Club-era jazz numbers. So songs like Do The Strand, Love Is The Drug and Virginia Plain are stripped of their vocals, glam guitars and anything at all even remotely modern, and re-styled as the sort of thing you might have heard from a young Louis Armstrong or Duke Ellington in one of those clubs in Harlem that would soon be all the rage in the 1930s. What you get instead is the sound of horns. This is the sort of record, you feel as you listen to it, that would have inspired the likes of Charlie Parker, Miles Davis and John Coltrane to pick up an instrument for the first time, and blow into it. Meticulously recorded in pristine mono, it is above and beyond all else the sound of Gatsby, the driest of Martinis and prelapsarian elegance. And yet, buried beneath this unimpeachably authentic sound of vintage Harlem, you can just about make out the shape of songs you know from a completely different context. From a different century in fact. It’s quietly intoxicating. And you can get a taster of it from the video they made for Do The Strand, here. 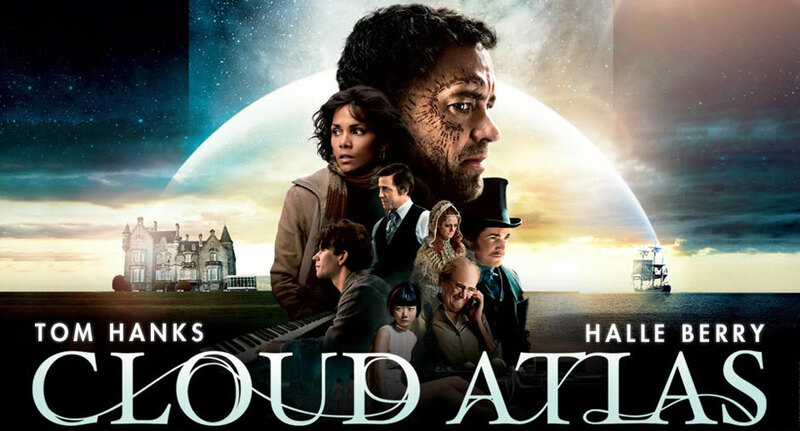 The lukewarm, almost embarrassed reviews that Cloud Atlas has been getting are, to put it mildly, baffling. It is in every sense of the word a wonder to behold. It’s easy to see why one might approach it with an air of scepticism. First, there’s the cast. Tom Hanks, Halle Berry, Hugh Grant and Jim Broadbent. Then there’s the sprawling nature of the narrative. Parallel stories set in six different time frames; on a 19th century sea voyage, in 1930s England, 1970s San Francisco, contemporary London, a Blade Runner-esqe Seoul in 2144, and in a post apocalyptic, stone age future world. And then there’s the fact that it is directed by three different people, Andy and – now – Lana Wachowski, and Tom Tykwer. All three of whom have had a mixed record of late. The former pair conquered the world with The Matrix in 1999. After the inevitable and inevitably disappointing sequels (both in ’03), they redeemed themselves with the surreally overlooked V For Vendetta. But they followed that with Speed Racer. Tykwer conquered the indie world with Run Lola Run in 1998. But Heaven (’02) and Perfume (’06) were curiously ill defined. And The International (’09) was little more than competent. And starred Clive Owen. Really? 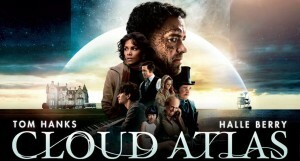 So a degree of suspicion when approaching Cloud Atlas was perfectly understandable – you can see the trailer here. How anyone could cling on to that scepticism after the opening ten minutes though is beyond me. I spent the rest of the film waiting for it to sink into what I presumed would soon be inevitable chaos. But it never happened. It’s a wonder to behold from start to finish. Hanks, Berry, Grant (especially) and Broadbent have never been better, and are joined by Hugo Weaving, the frankly edible Ben Whishaw and Susan Sarandon, all of whom inhabit their multiple roles with compelling ease. 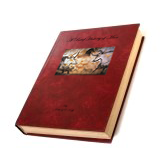 There is unsurprisingly a minor blot on the multilayered copybook. Tom Hanks’ thankfully fleeting stab at a Dublin accent is to say the least remarkable. Come back Tom and Nicole, all is forgiven. And there are perhaps one or two surplus lines where character muse redundantly on déjà vu. But that aside, the whole thing hangs together with an impressive, indeed infectious cohesion. And the big themes on the evils of prejudice and greed, and the liberating power and unifying potential of the arts are deftly handled. 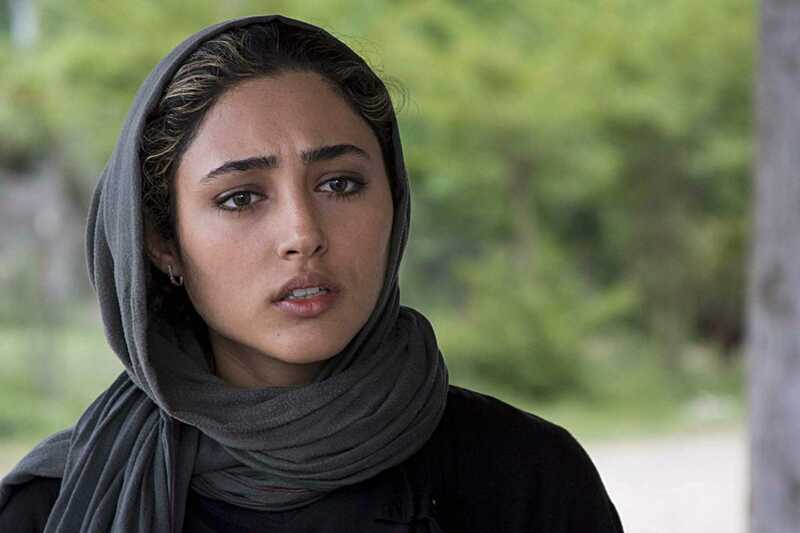 Instead of hectoring and annoying, the resulting film sweeps you along and up. More than anything else, this is a film. It’s fantastically tactile. And for once, the digital effects and CGI are used sparingly, and in service to the story. 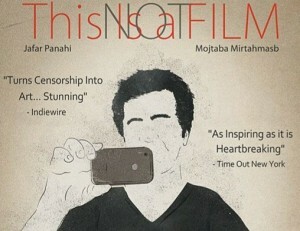 So if at all you can, go and see it in the cinema. It’s majestic. How Fantastic are the New Carlsberg Ads?! Most ads are mesmerically dull, jaw-droppingly tedious and unsullied by anything that could be mistaken, however remotely, for an idea. So how refreshing (pun intended!) are the new Carlsberg ads?! 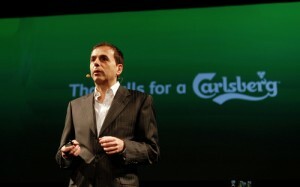 If ever there were a beer in need of being rebranded, it was surely Carlsberg! Some of you will probably remember that bizarre ad of theirs from back in the day. A man walks down a corridor, but stops to answer the phone he hears ringing in a room. 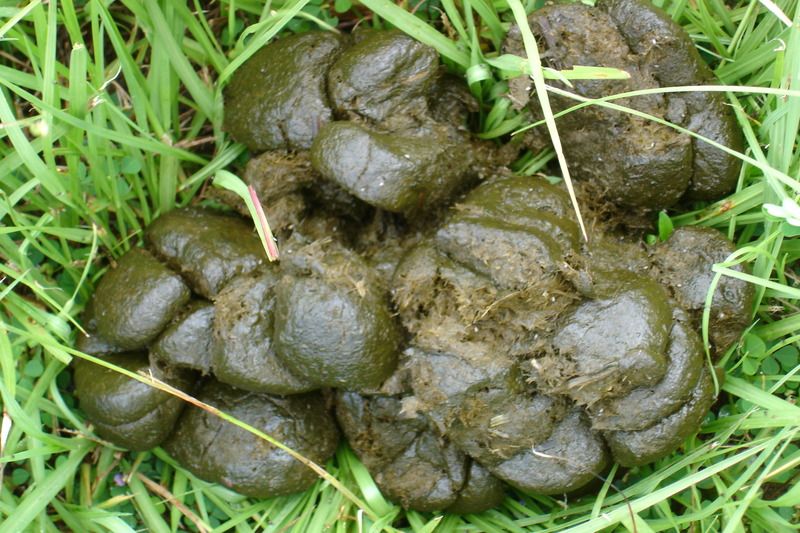 Turns out it’s the Carlsberg Customer Complaints Department – you can see it here. That’s hardly the sort of thing you want people to see in your ad! If anything, you should be telling them that when they drink Carlsberg, they won’t have anything to complain about at all! Probably! Any of the more experienced ad men will tell you that you should really steer away from words like “probably”. “Definitely” would have been much stronger. That same ambiguity was all over one of their more recent campaigns. “Carlsberg don’t do…” it went, and then they showed you all sorts of things that Carlsberg didn’t do. Like holidays, apartments, the list was endless. How negative is that?! Don’t tell us what Carlsberg doesn’t do! Tell us some of the things that it does, like refreshing the parts that other beers cannot reach! And they finished with that hopelessly defensive endline, again! Probably the best larger in the world! Well as the fella said, if it’s broke, fix it. So it’s wonderfully refreshing (there it is again!) to see the much more positive ads that they’ve now come out with. The first one appeared on our screens last summer. It gently references an obscure indie film from the 60s starring Steve McQueen. A man is sentenced to life in a health spa, but he fashions an escape, a great one if you will, and is rewarded with a crate (gedit!!) of Carlsberg. And the new endline that it now finishes with? “That calls for a Carlsberg!“. Thank God! That dreadful diffidence has been replaced with firm, manly assertiveness. Would it be hyperbole to suggest that it is to ads what Steve McQueen was to method acting? The second, in what I hope will be a long running campaign, is out at the moment. 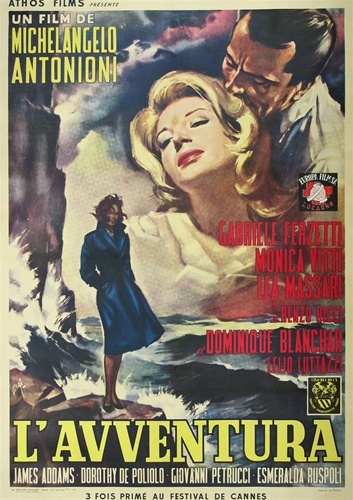 Once again, an obscure indie film from the 60s is referenced, this one by Stanley Kubrick. 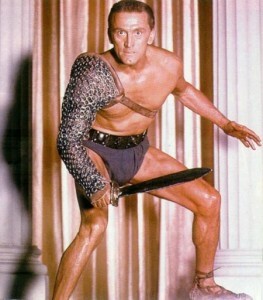 “I am Sparticus” they all shout. And they end up drinking over-lit pints of Carlsberg in an anemic Euro bar floating above a teenage graphic artist’s much, much younger brother’s vision of the future. It’s hip, urban, and edgie. More to the point, it’s absolutely hilarious! And it ends on that glorious endline. As much as I’d love to be able to claim that they’d devised the campaign here in Dublin, it is alas the work of Fold7 in London. Hats off to you, people. What can I say; that calls for a Carlsberg! If there are any ads that you’ve seen, that you think are as incredible as those traffic-stopping pair of Carlsberg ads, drop me a line in the comment box below. I don’t of course believe you. But I would be curious to see them.